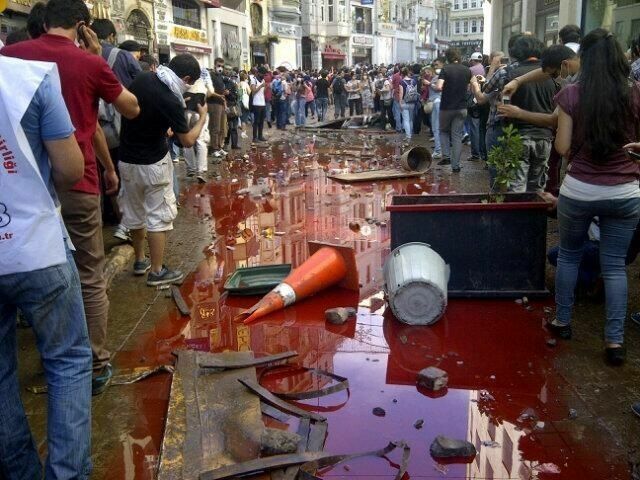 Blood in the streets in Turkey? How else do you start a Caliphate? This entry was posted in Editorial and tagged caliphate, Erdogan, Turkey. Bookmark the permalink. Erdogan left Turkey early this morning for Tunisia. He does NOT have the support of the General Staff of the Turkish Army as he has been waging war on them for some time. A large number of Retired Officers currently imprisoned in the Republic of Turkey; the ARMY, AIRFORCE, NAVY, and JANDARMA (National Guard -- under the ARMY). The problem here is there are at least 140 Terror groups operating in Turkey, the most dangerous being the PKK (the Kurdish Workers Party) … As here in the USA we have our share of radishes, tomatoes, and killer tomatoes (terms for various types of reds), and these folks could stir up trouble by setting off explosives, etc.. then the Army would become involved..